The nylon TRX ® Extender allows you to attach your TRX ® to any anchor point while maintaining the recommended TRX ® height from the ground, so you can use your TRX ® on any anchor point. Take your TRX ® workout higher. The TRX Xtender ® allows you to safely attach the TRX ® Suspension Trainer to high anchor points (9ft. or more off the ground) and large vertical anchor points such as trees and poles. TRX ® Xtenders are also great for keeping the TRX ® Suspension Trainer - tightly in place on any vertical pole with a smooth surface. The TRX ® Xtender is 37" in length. For greater lengths, simply join two or more Xtenders together. We recommend using one TRX Xtender for anchor points under 25” in circumference and two or more combined Xtenders for larger anchor points. The TRX ® Xtender is great for high ceilings, basketball hoops, large trees and more. For greater lengths, join two or more Xtenders together. 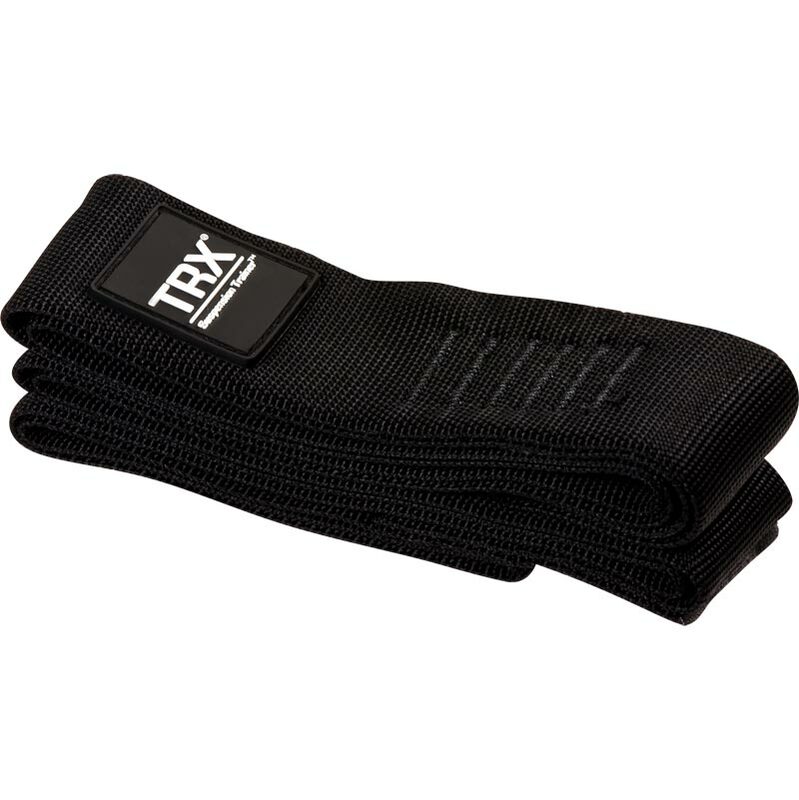 Please refer to the instructions included with your TRX ® Extender. Each additional extender strap will add another 3ft, we recommend that no more than 17ft is used. 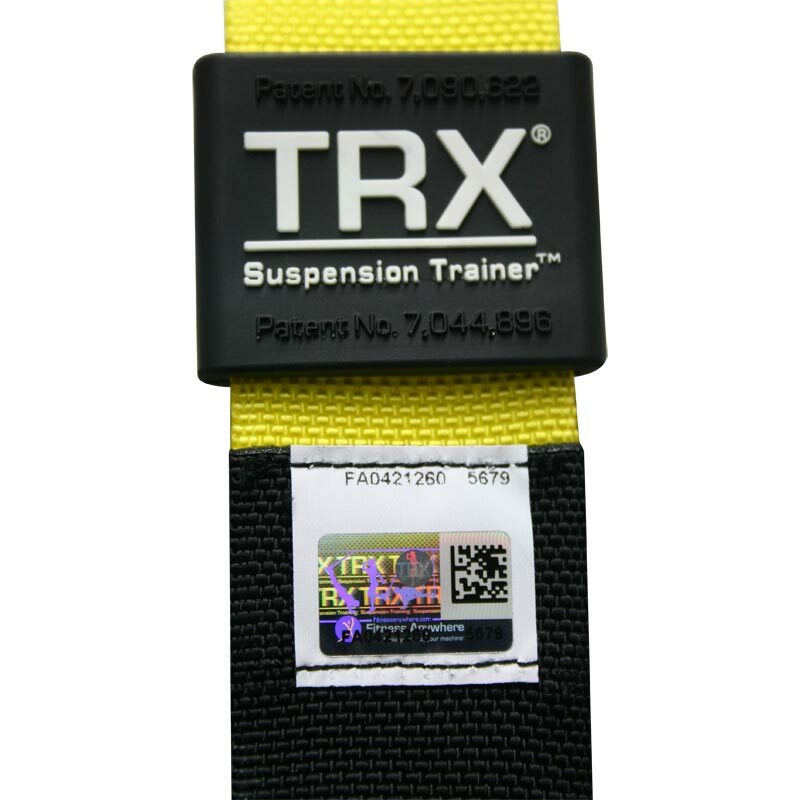 TRX ® Exercise Equipment has a hologram attached, usually to be found under one of the sliding rubber TRX ® bands. This indicates it's authenticity. Compatible with all TRX ® Anchoring Solutions, including TRX ® Xmount (sold separately). Yes, it extends trx but I feel there is some slippage there, it could be longer, and it's certainly overpriced for what it is. This is not a criticism on the supplier as their price was competitive against other retailers.